Portugal’s attractiveness reached the other side of the Atlantic. The Boston Globe emphasises how a small country like Portugal has a varied range of offerings, “good food, rich history, great views and temperate climate”. Lisbon is described as a city that “looks less like a national capital than an unusually large Mediterranean village”, where one can still witness people drying their clothes out in their windows and merchants drying their fish in the sun. The article points out places like Rossio square with its “majestic fountains”, the Commercial Square (Praça do Comércio, in Portuguese) representing the historic connection to the sea, the nightlife at Cais do Sodré, the street art booming throughout the city, Belém and its famous pastries. 300km north, the city of Porto is pictured as “handsome and elegant”, with granite structures “packed on the hilly landscape and covered with colorful tiles”. The D. Luis Bridge, resembling the Eiffel tower architecture, the beautiful tiles of S. Bento train station, right in the heart of Porto, the Harry Potter inspiring bookstore Lello and McDonald’s – yes, McDonald’s – in Porto downtown are some the must-sees mentioned. Between the days spent in Lisbon and Porto, the article recommends a pit stop in Óbidos, “a picturesque walled town with winding streets” and Sintra, the Unesco World Heritage Site, with the colorful and unique Pena Palace deserving all the attention, though Sintra has much more too offer and definitely worth the visit. This is not the first time that Portugal gets compliments from the other side of the Atlantic north. A few examples: New-York based magazine “Travel + Leisure” chose Portugal as 2016 “destination of the year”; US News featured Lisbon as a perfect place for retirement; Financial Advisor Magazine also made Portugal a top choice to retire abroad. Already thinking of where to go next year? According to the Huffington Post, Portugal is the country everybody will be visiting. To support this claim, Huffington Post gathers the latest ranks that put Portugal on the top, like Travel + Leisure’s choice for Portugal as “destination of the year”, referring to Portugal as “hotter than ever”, and Lonely Planet nomination of Azores, “the next Iceland”, as one of the best regions in the world to visit next year. The article emphasizes the city of Lisbon, which is becoming more and more trendy, not only as a place to visit but also live and retire. Algarve, the Minho region and the lesser-known yet fancy Comporta are also highlighted. The number of tourists visiting Portugal has been increasing for 4 years in a row. One of the highest growth rates is registered among American tourists. Portuguese airlines company TAP has 23 flights per week to the USA, three times more than last year. Additionally, this month TAP has been nominated as the best European company flying to this country by Global Traveler magazine. World renowned personalities, a widely spoken language, modern infrastructures and a business friendly environment are some of the aspects that Huffington Post points out as the reasons of Portugal’s bright momentum. The recent election of Portuguese António Guterres as United Nations General-Secretary is the most recent evidence contributing to increase the reputation of Portugal. As the article puts it: “Guterres’ ascension to the world stage provides an opportunity for Portugal to embrace and promote the shared values and leadership qualities he exemplifies”. Portugal’s influence is also increasing on different areas. This year’s victory in the European Football Championship was a deserved reward for the country’s achievements in terms of football. The country has also many ambassadors in other fields as well, like the world renowned neuroscientist António Damásio, fado singer Mariza, chef José Avillez, among many others. Furthermore, Portugal has been able to attract many international companies to its territory and it is seen as a technological advanced nation while Lisbon increases its reputation as a good start up ecosystem. This year, this city is hosting the prestigious Web Summit – “Europe’s Largest Technology Marketplace” that will receive renowned guest speakers and thousands of attendees from all over the world. This hasn’t been unnoticed, after all, Portugal is receiving more and more tourists every year, the country remains one of the most peaceful countries in the world and is referred as a good destination for retiring abroad and for long term health care. Contact us for more information! Best beach destination, best island destination and best cruise destination were some of the highlights for Portugal at this year’s “World Travel Awards” for the European region. Every year, Portugal’s tourism offer gets more and more recognition. This time, the country got 23 awards at the “World Travel Awards”, a considerable increase comparing to last year’s 14 awards. 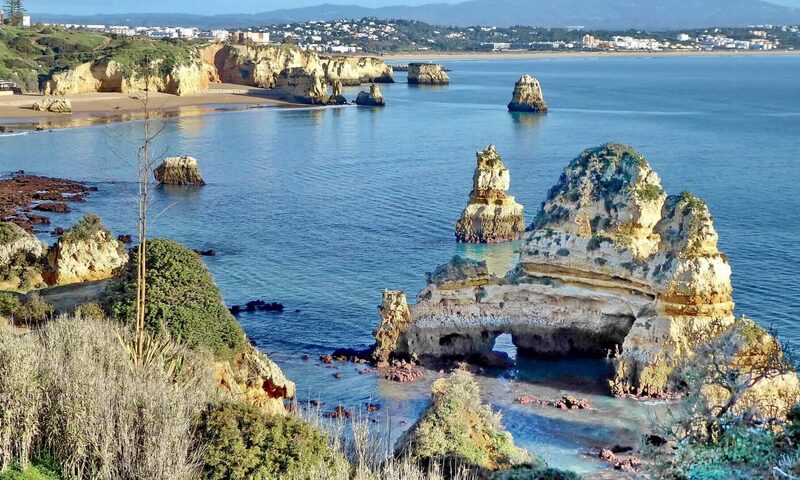 Algarve gets the prize for “best beach destination” for the second year in a row, while competing against places like Cannes and Sardinia. Madeira reconquers the “best european islands” award, after having won in 2013 and 2014. Multiple Portuguese hotels received many distinctions such as, best beach resort, best all inclusive resort, most romantic resort, best boutique hotel, best family resort among many others with a total of 14 awards. Additionally, enterprise Douro Azul was awarded the prize for best river cruise company. These awards come after multiple recognitions, as Portugal continues to increase its reputation as a trendy and safe travel destination. The number of visitors continue to increase, as well as Portugal’s readiness to receive more people. If like many others, you are planning to visit or even move to Portugal, let us take care of your healthcare needs. We offer a full booking service, tailored to your needs. Visit our website or contact us. A recent article on Esquire magazine states “Why Lisbon is one of the coolest cities in Europe” to visit right now and why it shouldn’t be underestimated. The article recommends places to visit and things to do that aren’t likely to be in other city guides. The best places to stay are Bairro Alto and to eat there is the renewed Mercado da Ribeira for a relaxed lunch, and Belcanto the two Michelin star restaurant owned by the Portuguese chef José Avillez to learn how the former colonies influenced the Portuguese cuisine and provide a unique dining experience. The magazine advises visitants to appreciate the street art all over the city, highlight the works of Portuguese street artist Vihls. For those who want to explore further, they can from Lisbon go surfing in Cascais (about half an hour) or to hang out on the beach in Comporta (about an hour south of Lisbon). Click here to read the full article on Esquire Magazine.